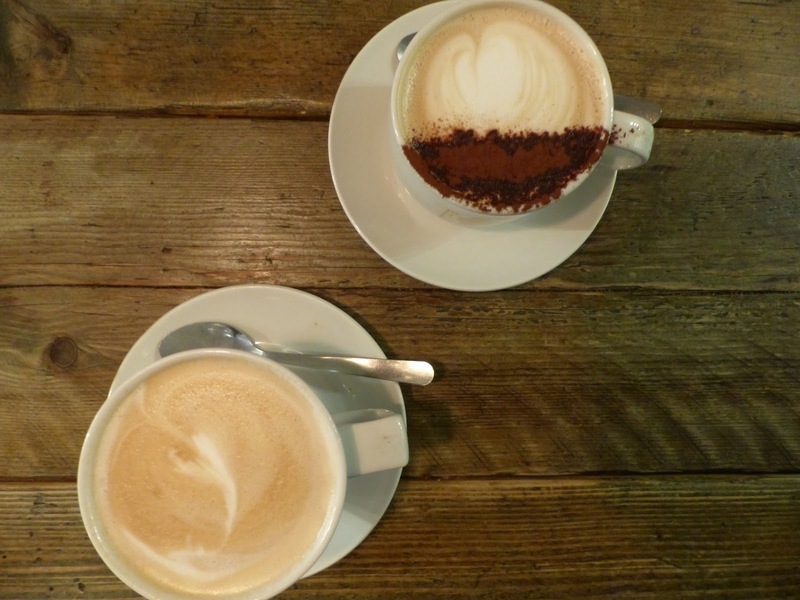 It’s our last day in Edinburgh, and we couldn’t leave without a visit to The Caffeine Drip, which again I came across on the internet before we came. It’s tucked away in the West End of the city, a small staircase leading down to a secret hideaway of fantastic breakfast and lunches. It’s a South African Cafe and Bakery, with all the traditional stuff, along with some less common dishes, which is perfectly proven by this post! Out of all the coffees we’ve had whilst in Edinburgh, this ranks at the top in my opinion. For once, large actually meant large, and my latte was super smooth and creamy, whilst still being really hot. As much as we love specialty coffee, we often find ourselves having to ask for it be extra hot as there is a common belief that heating it much past luke warm takes away the taste. Yet here, they had it spot on! Jessica’s mocha also had the perfect ratio of coffee to chocolate and both went down perfectly with our breakfasts. 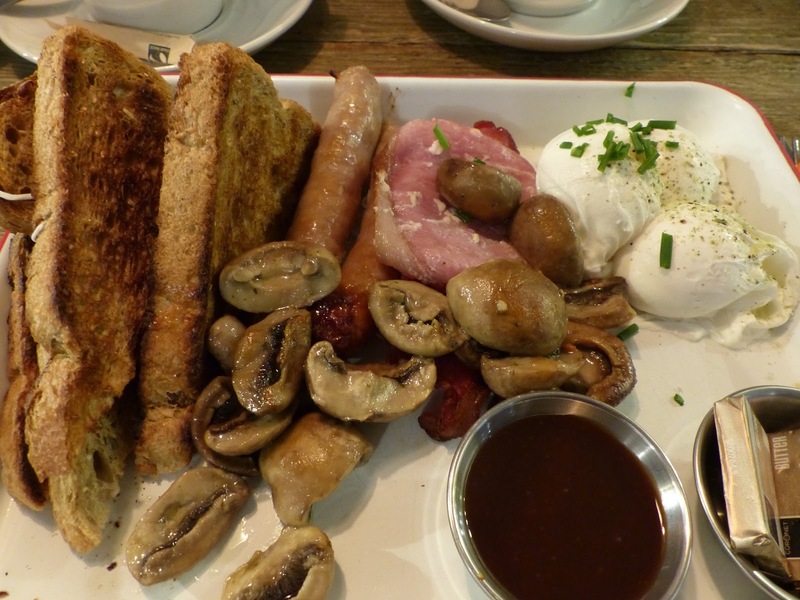 I went for the full cooked breakfast, going for all the traditional extras, although there were many options which allowed you to build your own. As standard came three, yes three poached eggs, toast, and a sauce of your choice. Then the rest was down to you. There must have been 10-15 different extras to choose from, all at a supplement. Every aspect of it was delicious and it made for a perfect start to my Sunday! 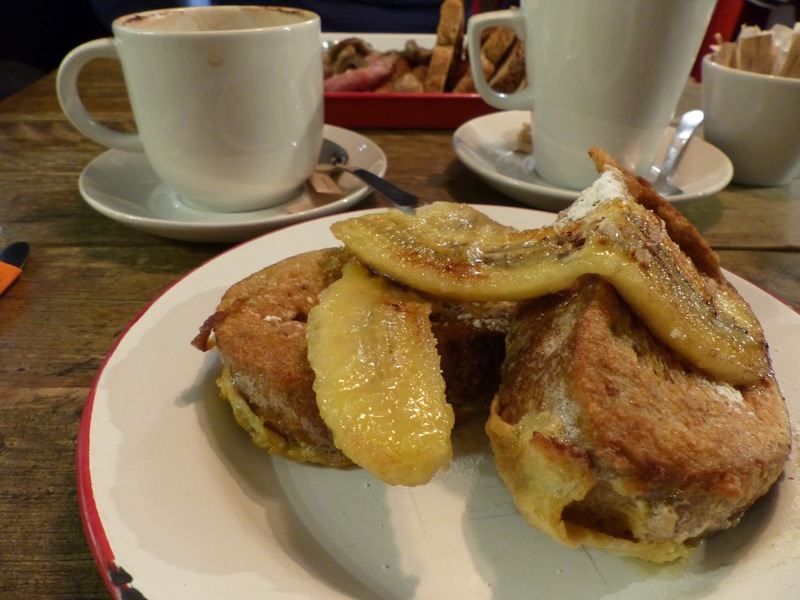 Jessica went for the more alternative option of french toast with fried banana, which after having to finish it because she was so full, was also delicious! It would never have been something I would choose, but that might change from now on. Fried banana was again just one of the number of options to have on the french toast, but I couldn’t imagine anything going much better. Jessica certainly made a good choice! 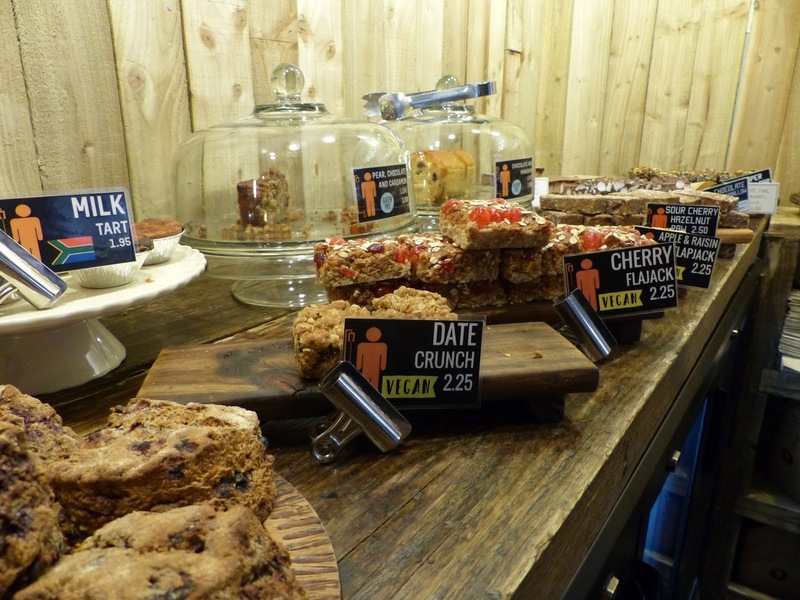 This fueled us for our final day in Edinburgh. We’ll doubtless be back before long, and a good chance we’ll be back to The Caffeine Drip too. It comes highly recommended. A white choc mocha sounds right up my street!!! Lovely breakfast and nice way to end the trip!! Gosh the breakfast looks amazing, although that said I would be straight onto the vegan sweet treats with a nice cup of tea. You can drink unsweetened mixers like vodka, rum, tequila, gin, bourbon, scotch, cognac, and schnaps, alongside the infrequent low-carb lager visit our website.